Delicious eel restaurant a little far from the station. I ate much eels this summer, I think. Because, I dreamed every eels restaurants around my life sphere disappeared the other day. But I felt uneasy. So, I feel like eating eels so frequently. There is a small eels restaurant a little far from Kiba subway station that is named Kabayaki Unayoshi. I had wanted to eat eel at this restaurant for two years or more. 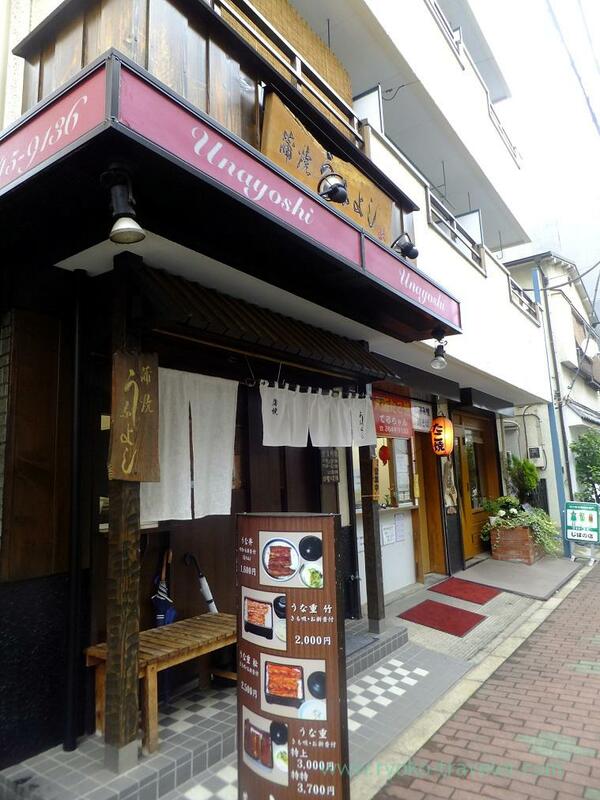 I learned the restaurant from the standing signboard along the main street. It is really hard to find for strangers because it stands far back from the main street. So the standing signboard is necessity for them. About 10 minutes walk from the Kiba station. It is not so far. I ordered a eel bowl set (うな丼). I also ordered a grilled eel’s innards, but the chef said they serve it only at nighttime. Umm. I couldn’t eat eel’s innards again….! 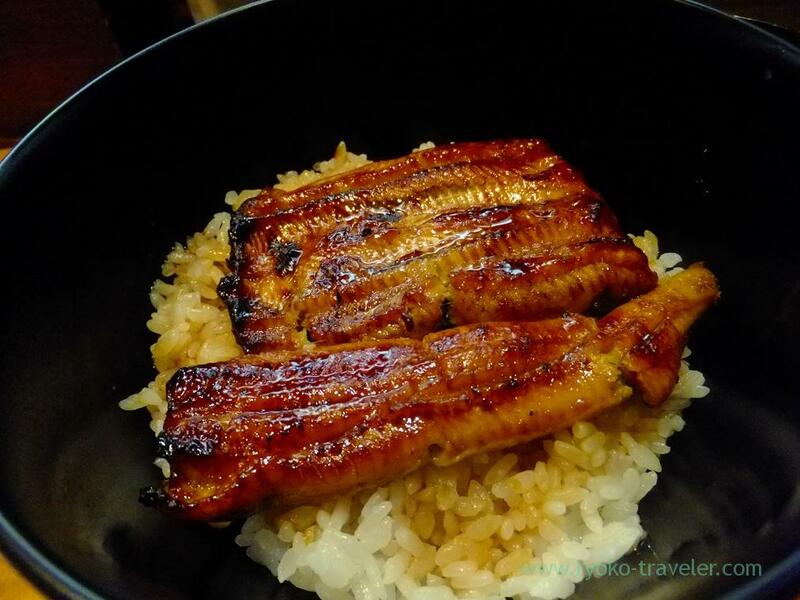 I think it is great that we can eat eel bowl for 1600 yen now !!! And their eels are from somewhere in Japan. Though I forgot the exact place. Also eels box are from 2000 yen. The eel bowl (Unadon) have clear soup. 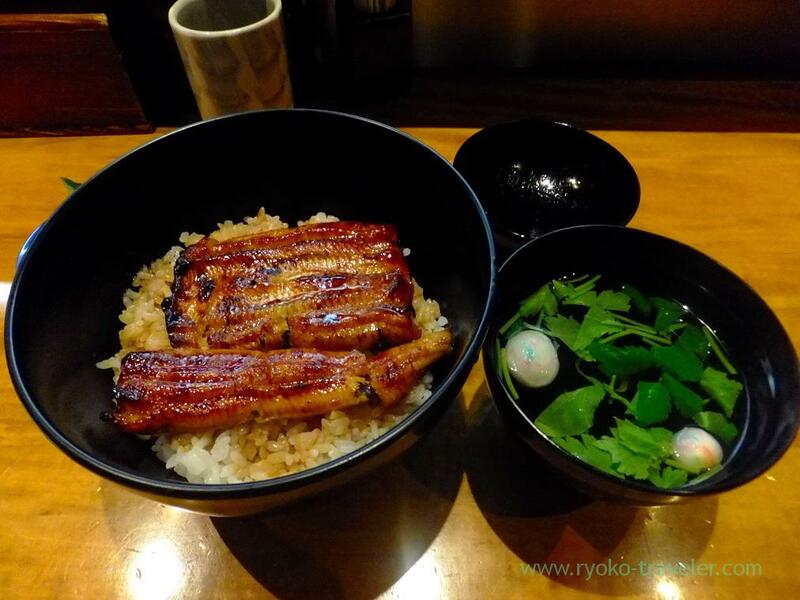 And eel box (Unajyu) have clear soup with eel’s innards ! There wasn’t large piece of eel, but soft and flavory eel was so tasty.